Highlight's Junhyung graced the cover of Hong Kong's 'Elle Men'! 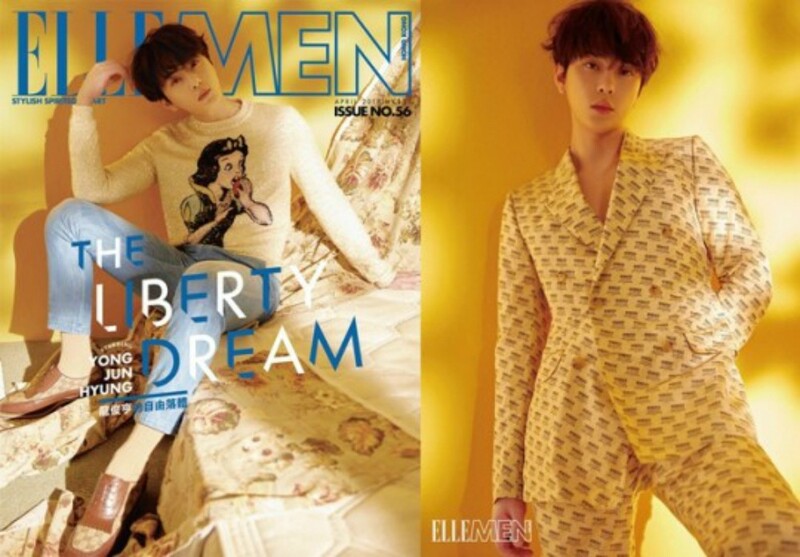 On March 30 KST, Hong Kong's 'Elle Men' revealed the cover of its April issue via Instagram. In one of the photos released, the Highlight member is dressed casually in a white shirt along with blue jeans. Meanwhile, the second photo features the idol in much more formal attire - a matching yellow jacket, and pants. According to the staff who were present during the photo shoot, Junhyung showed off facial expressions, poses, and fashion sense that aligned well with the overall concept, drawing nothing but compliments from everyone at the scene. Meanwhile, Junhyung recently released his digital single "Sudden Shower" and even now, is topping various charts.